Free pattern alert! This week's free quilt pattern is courtesy of Blank Quilting! This is Tessellations Quilt 2, the pattern I designed for Blank Quilting's Tessellations fabric collection created by Amiee Sue Malott. This quilt measures 59" x 64" and the blocks finish at 6" x 12". The block is perfect to showcase all the textures and colors that Amiee added to her line. Aren't they fantastic? Yes, it uses paper piecing with easy-to-follow instructions so you will sew them together in no time at all. I don't know about you, but I would like to have ONE BOLT of each of these prints. I could make quilts, totes, clothing, quilts, quilts... Somehow, my husband does not understand this as he can't understand why I buy two pairs of shoes or two dresses of the same kind when I love them. 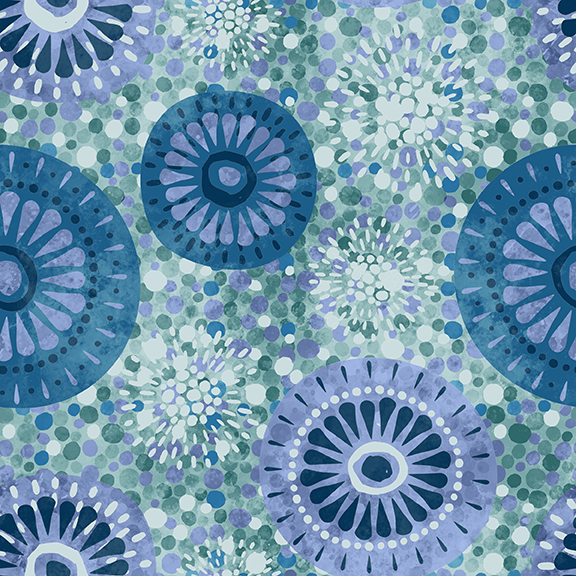 This is the print I chose for the border and you can see why - there was no way I would cut into all these shapes and I bet that neither would you. 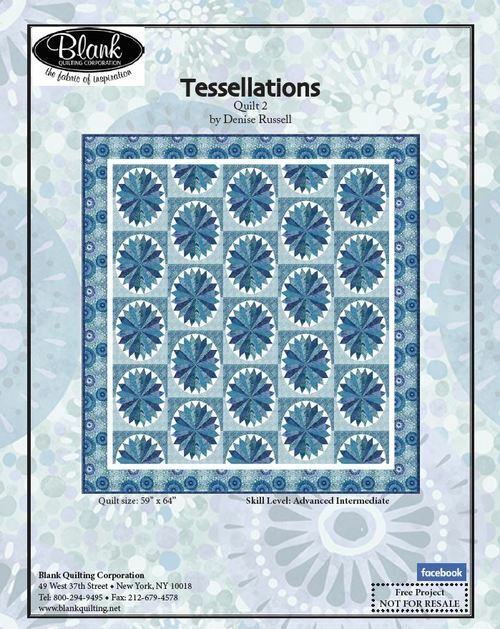 The Tessellations collection has been released so you should be able to get it from your favorite quilt store, download the pattern, and get sewing. Be sure to send me a photograph of your quilt so I can post it here.